LadeeBee is here to help! We've got a great gift idea for the friends and family on your holiday gift list. Who wants a quick project that won't break the bank??? I know I do! 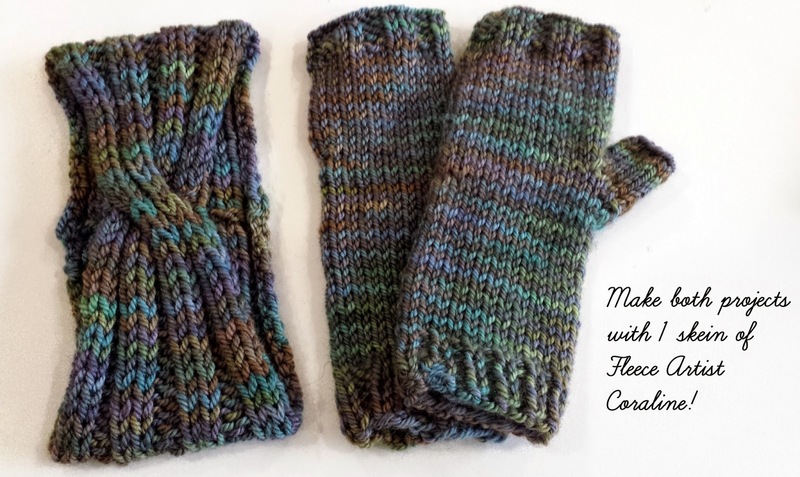 You can make a headband and wristwarmers with just ONE skein of Fleece Artist Corriedale. 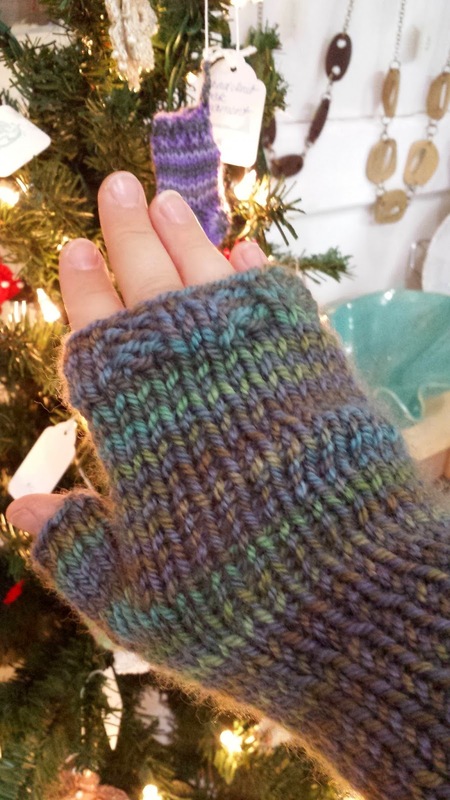 This yarn is available in stunning hand dyed colourways and is simply sumptuous and squishy. 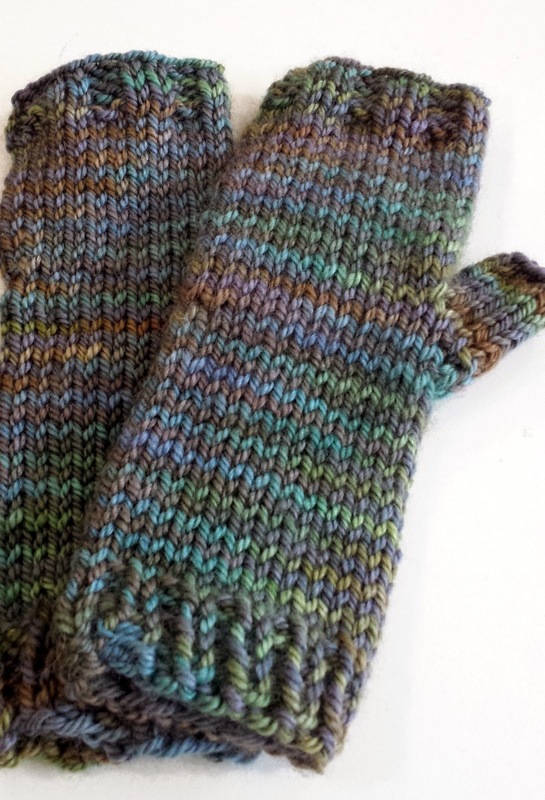 What a pleasure to knit with! We have the patterns printed out and ready to go for you, so just come on by and choose your colour before they are all gone. 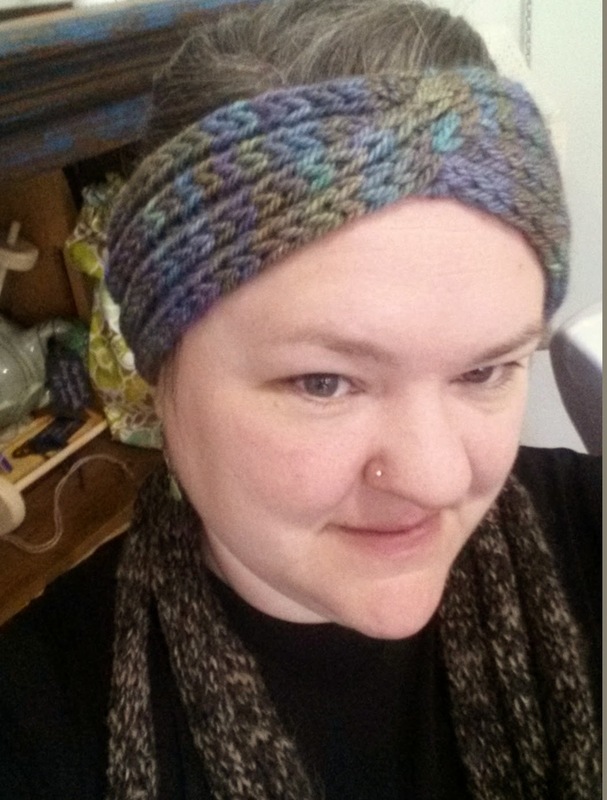 For $20 you'll receive one skein of Coraline by Fleece Artist, a headband and a wristwarmer pattern.